A truly timeless place. 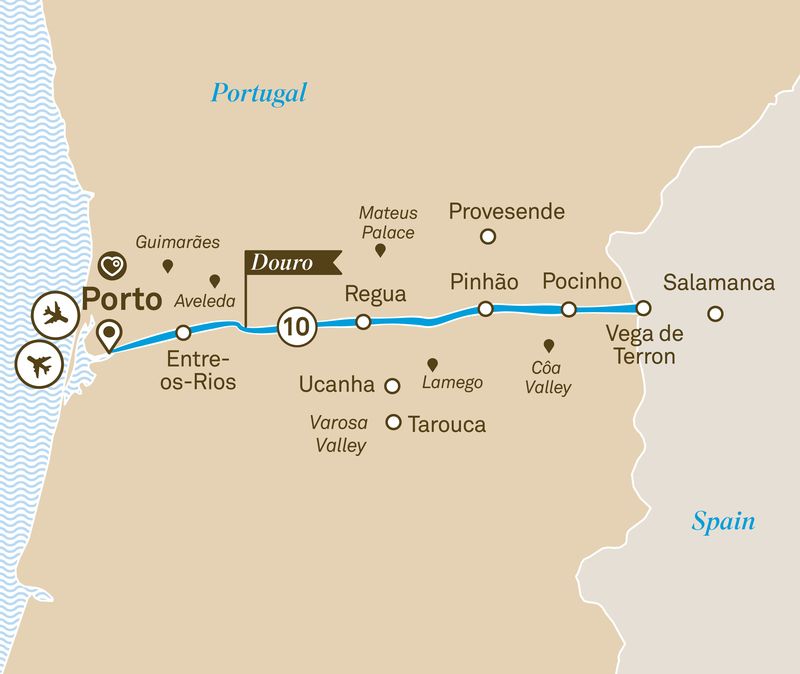 Portugal’s Douro River winds its way through towns that have somehow managed to preserve their distinctive culture and way of life, even as the world all around them has succumbed to change.. From elegant Lamego to Regua and Vega de Terron, you’ll find that people still ply their traditional trades in the historic pockets of the Douro Valley. The vineyards that grace the banks of the Douro are worked the way vineyards in the region always have been. The wines they produce, from the many highly loved varieties of port, to their fine unfortified reds and whites, are as rich and plentiful as ever. The fare is as honest and as delicious as it was in days of yore. And, most refreshing of all, the communities are every bit as friendly and welcoming.